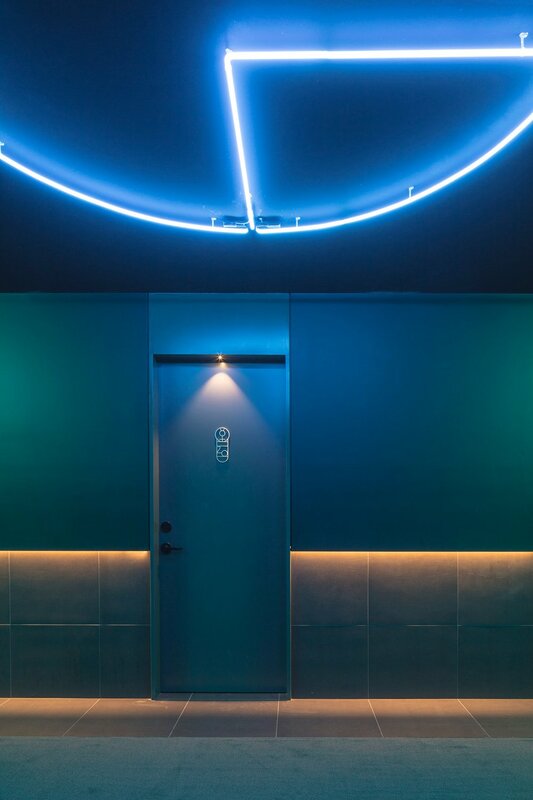 Jackalope has quickly become an award winning Australian hotel, both redefining luxury accommodation on the Mornington Peninsula and presenting Lights & Tracks with an opportunity to collaborate on a truly unique lighting project. Designed by Carr Design Group, brought to life by master Builder VCON and in collaboration with Wood & Grieve Engineers, the award winning one of kind 46 room Jackalope hotel has been conceived through a dynamic and intricate union between some of Australia's most renowned creatives. 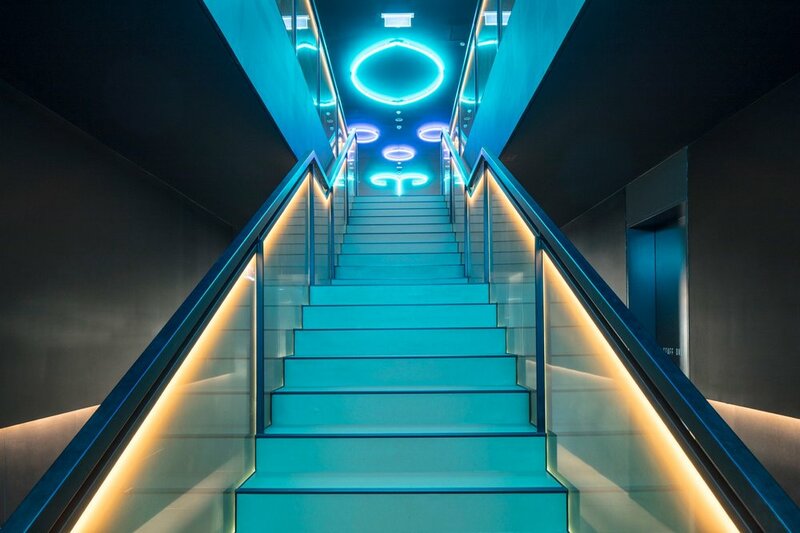 Equal parts bold, daring and opulent, this uniquely designed hotel is re imagining the definition of luxury. The hotel offers Terrace or Vineyard rooms which boast views across the wine country with floor to ceiling windows, Japanese bath tubs, private terraces, 30-meter infinity pool, cellar door and fine dining facilities. 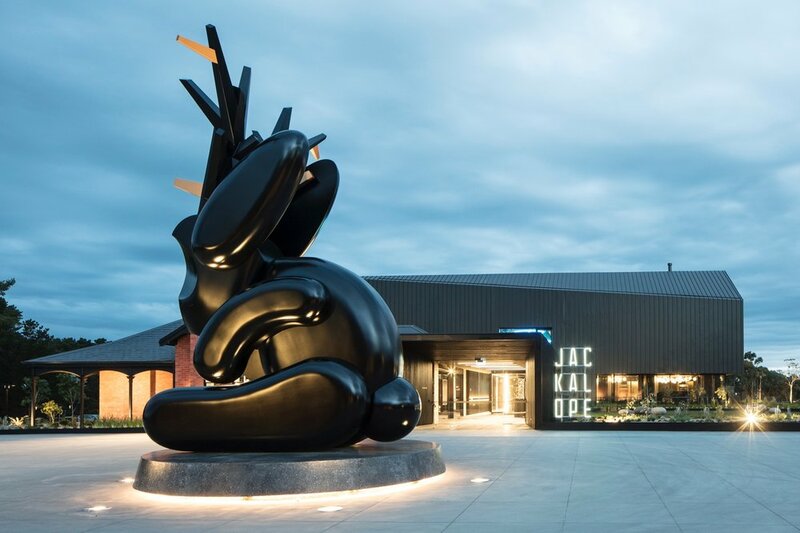 The iconic entry features a 7 meter tall sculpture of a mythical Jackolope, lit from underneath with continuous light to create a floating halo effect. We added additional up lighting utilising an adjustable high output traffic-able in ground luminare to allow for fine tuning and onsite commissioning by the artist. The "floating" cellar is a feature that greets you the moment you step through the door of the main entrance. From 3D renders, through to construction, Lights & Tracks collaborated with all parties to ensure this brain child of Carr Architects was taken from screen to real life. The signature corridor is dimly lit by strip LED lighting leading to guests rooms where architectural ceilings are highlighted with warm cove lighting. 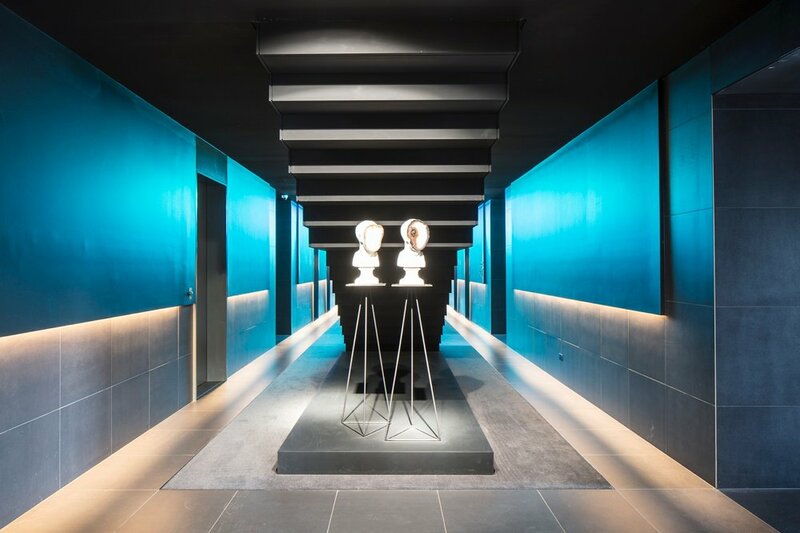 No stone was left unturned throughout this hotel and credit must be given to Carr Design Group for showcasing the possibilities that true luxury lighting provides.